The objective of these TEEP days is to propose a moment of exchange between experimentalists and theoreticians, industrialists and academics, confirmed researchers and PhD students. If you are interested in this issue, come and take part in these working days which will take place on 7-8 December 2017 in Clermont-Ferrand. 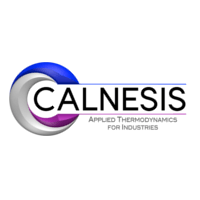 In many industrial processes, the knowledge of the thermodynamic equilibria linked to the changes of state of solid, liquid or gaseous mixtures is one of the factors allowing their optimization or their development. The understanding and rational exploitation of liquid-vapor, liquid-liquid and solid-liquid equilibrium diagrams is necessary and fundamental in the development of integrated, competitive and transferable process unit operations to industry. The extraction and purification of inorganic and organic products, the production of pure products by distillation, demixing, selective precipitation, or crystallization are some key examples that can be applied to the pharmaceutical and food industries as well as to metallurgy. plastics or petrochemicals. In some processes it is essential to prevent the appearance of new phases for safety reasons. The appearance of solid phases during flow processes can for example be at the origin of dramatic accidents. The formation of unwanted gas phases can also be the source of significant technological difficulties. In other cases, the control of the appearance of new phases makes it possible to reach the manufacturing objectives: formulation of active substances by crystallization, use of supercritical fluids, storage of energy, thermal machines, controlled evaporation, etc. Many experimental data are available for model systems containing fluid phases, particularly for describing liquid-vapor equilibria. Robust thermodynamic models have been developed and optimized in recent years. However, these are much rarer to describe solid phases or multiphase heterogeneous mixtures (hydrate formation, equilibrium of multiple phases …) and their accuracy is often faulted for mixtures with multiple constituents or very strongly ideals. 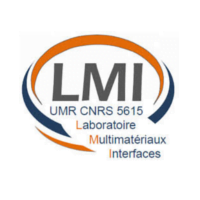 These days are co-organized by ICCF, LMI and Calnesis.They will take place in Clermont-Ferrand from 7 to 8 December 2017. For any further information or to register, clic here.